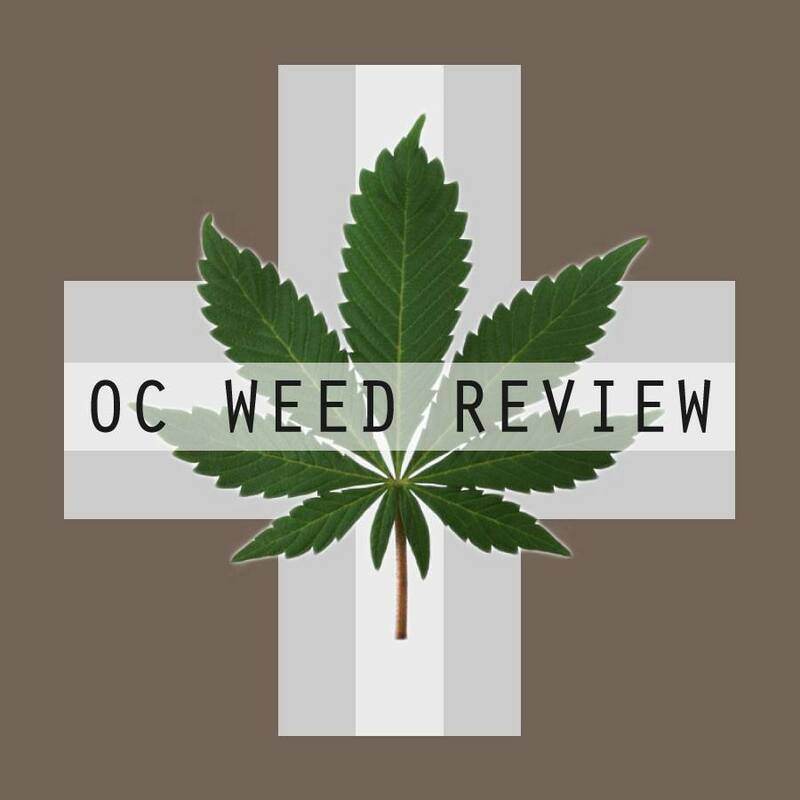 The strain we review this time out is Mandarin coming to us from Orange Coast Patient Care (OCPC) in Santa Ana. It is a strain of some questionable genetics. OCPC has it listed as a hybrid, and it was recommended by my budtender as sativa dominant. One look at the buds reaffirms this, with a loose moist structure that is a fluffy cloud to handle. Mandarin is a light avocado green dotted with orange hairs regularly spread across the surface. All this is fuzzy with trichromes. Like a pure sativa, it breaks up chunky both in a grinder and by hand and was sticky to handle as I loaded my bowl. The smell is sweet and warm, and there is a slight candied orange flavor that may bring its name. It’s not overpowering or pungent. Unlike most strains I find in SoCal, I can leave some out broken up without fear of smelling up a whole wing of the house. When medicating it is much the same. There is no extraneous odor, and the smoke is light. The green hit is a bit harsh, but this subsides quickly. As a whole, the smoking experience is, if not remarkable, completely satisfactory. The high hit almost immediately. For a mid-shelf, I was surprised by the quality. It was cerebral, and when I wasn’t daydreaming, I was giggling to myself. I had begun my morning on the wrong foot, and Mandarin made a real metamorphosis. There is a warm vibration feeling across my skin, an effect that I lovingly refer to as butterfly hugs. Lightheadedness began upon heavy medicating. There is also some minimal pressure in the sinuses and red eye is a severe side effect. However, the body effects are minimal: it is clearly a sativa that way. The most noticed negative was forgetfulness, and I was easily distracted. It took me three trips downstairs before I could successfully get a drink. A smiley high, Mandarin is perfect for depression and all its symptoms, or even just a cloudy cool day in need of some sunshine.